Wagner, Parka and Clown earlier agreed to work together to face the threat of Team Trump. Team Trump threatened them. The Mexico alliance wasn’t enough, Team Trump took the main event. Would the Mexico City commission have allowed AAA to do a men versus women tag title match? I guess it doesn’t matter now, but it may be a factor in why they made the change before TripleMania rather after. 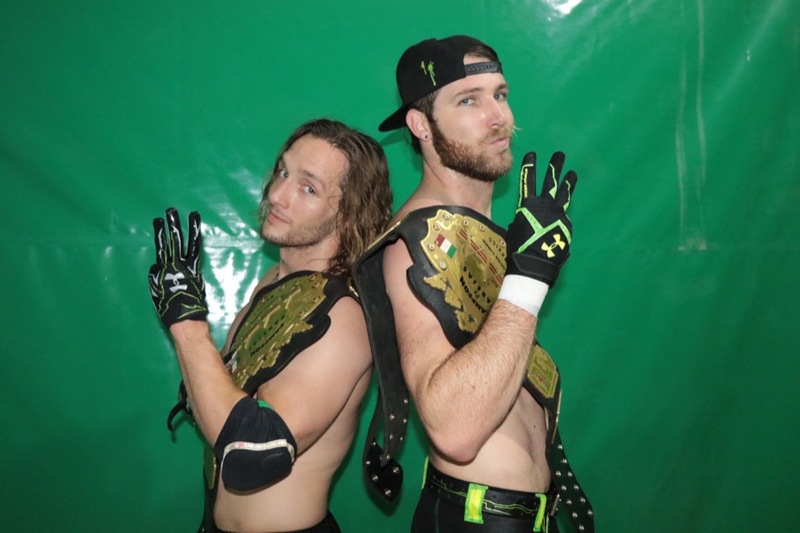 Jack & Angelico are facing a mystery team in Toluca, which may indicate their TripleMania program. Otherwise, we know just about as much about that card as we did before this taping. All the announcements are going to come on Twitter or mentioned on TV, it seems. AAA “show opening segment where the people in the main event talk” to the list of WWE tropes AAA’s borrowing lately. There’s new patterns, but they’re definitely patterns. Garza Jr. probably main evented small Arena Coliseo Reynosa instead. That’s probably the better choice for him (and “choice” may be overstating it, he may have taken that one first), but it’s weird working a small arena in Reynosa is the better choice than appearing on AAA TV – though he really doesn’t have much of a role here. Next taping is that 07/29 Toluca show, a week from this Friday, the last to air on TV prior to TripleMania.